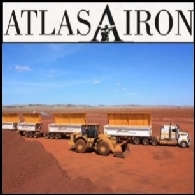 Atlas Iron Limited (ASX:AGO) is an independent Australian iron ore company, mining and exporting Direct Shipping Ore (DSO) from its operations in the Northern Pilbara region of Western Australia. Since listing on the ASX in late 2004, Atlas has grown rapidly and is now a member of the ASX100 index. 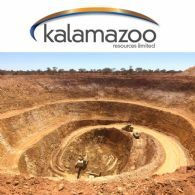 Kalamazoo Resources Limited (ASX:KZR) is pleased to advise that it has signed a Term Sheet to sell its Snake Well Gold Project in the Murchison region of Western Australia for $7.0 million to Adaman Resources Pty Ltd. 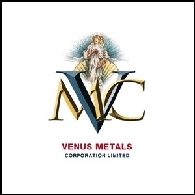 The Directors of Venus Metals Corporation Limited (ASX:VMC) are pleased to announce that the reconnaissance sampling on its Pilgangoora lithium-tantalum project area in Western Australia demonstrates the presence of significant lithium mineralisation associated with previously unrecognised pegmatitic stratigraphy. 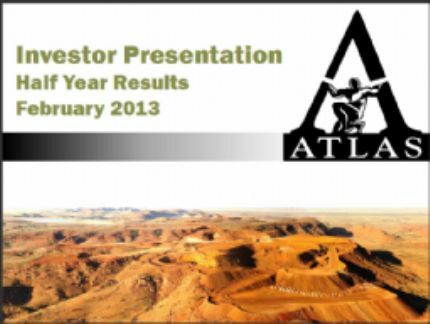 During the March 2013 quarter, Atlas Iron Limited (ASX:AGO) announced an increase in its total Pilbara ore reserves of 21% to 499 Mt, further strengthening the company&apos;s existing operations, near term development projects and its longer-term growth strategy. Atlas Iron Limited (ASX:AGO) is pleased to announce that the first phase of the rail Alliance study with Aurizon Operations Limited and Brockman Mining Limited (ASX:BCK), has been completed. The study sought to provide a preliminary evaluation of a new, independent, multi-party railway to connect iron ore mines in the East Pilbara to Port Hedland. 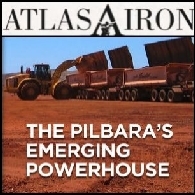 In a volatile and sharply weaker iron ore market, Atlas Iron Limited (ASX:AGO) has made a cash surplus from operations of A$70M (2011 - A$164M). During the period, the Company also commenced exports from the Mt Dove mine, started development at the Abydos mine and shipped a record total of 3.34Mt (WMT). 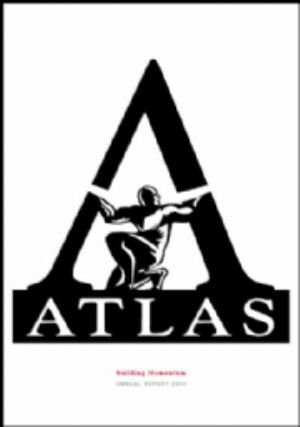 Atlas Iron (ASX:AGO) advises that it will book a non-cash impairment of $258M, net of deferred MRRT and income tax, in its accounts for the six months to 31st December 2012. This follows a review of the carrying value of select undeveloped Horizon 1 and 2 exploration project areas and non-core tenements. The impairment is a consequence of the accounting values attributed to these exploration assets arising from the higher price of Atlas shares used as consideration when many of the tenements were acquired (including share price appreciation following the announcement of the transactions) as part of the four mergers and takeovers Atlas completed between 2009 and 2011. This compares to the value ascribed by the market as at 31 December 2012 to these exploration assets. Atlas Iron Limited (ASX:AGO) is pleased to announce that its total Pilbara Ore Reserves have increased by 21% to 499Mt, further strengthening the Company&apos;s existing operations, near term development projects and its longer-term growth strategy. Production for the December 2012 Quarter resulted in shipments of 1.75Mt (WMT) including four Atlas Value Fines cargos totalling 373,000t. This reflects a 10% increase on the September 2012 Quarter and is in line with recent guidance for shipped tonnes for first half FY2013. 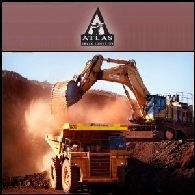 Atlas Iron Limited (ASX:AGO) is pleased to provide an update on key development projects contributing to its near-term Horizon 1 production target of 12Mtpa. In addition to the start of production at the Mt Dove Mine (as announced on Friday), further material progress is being made at its Abydos Mine and Utah Point Yard 2 projects. Atlas Iron Limited (ASX:AGO) is pleased to announce that production has commenced at its third Pilbara iron ore mine, Mt Dove, located 65km south of Port Hedland in WA, representing a key steppingstone towards achieving its near-term Horizon 1 production target of 12Mtpa.